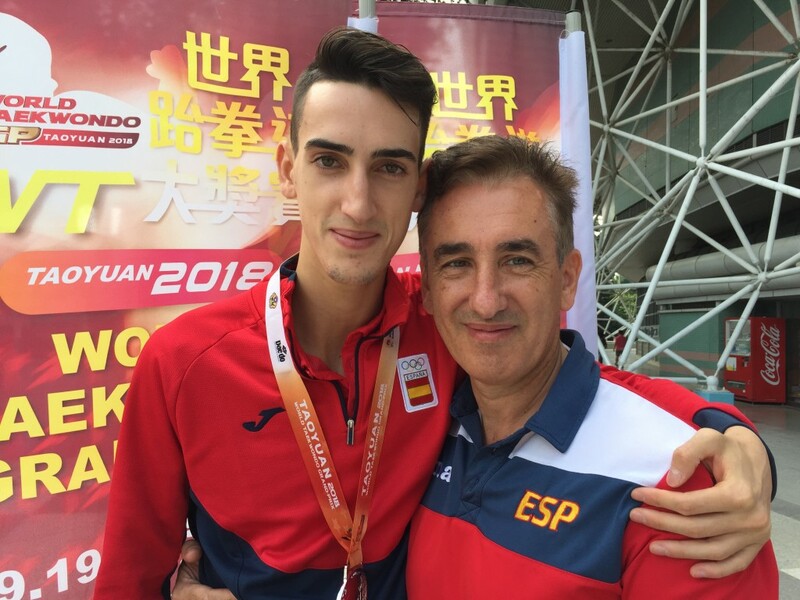 TAOYUAN, Chinese Taipei (Sept. 20, 2018)- All coaches are proud when their players win medals, but Spain’s Jesus Tortosa was, perhaps, prouder than most on the evening of Sept. 20 at the Taoyuan Arena: His player, Jesus Tortosa Cabrera is his own son. 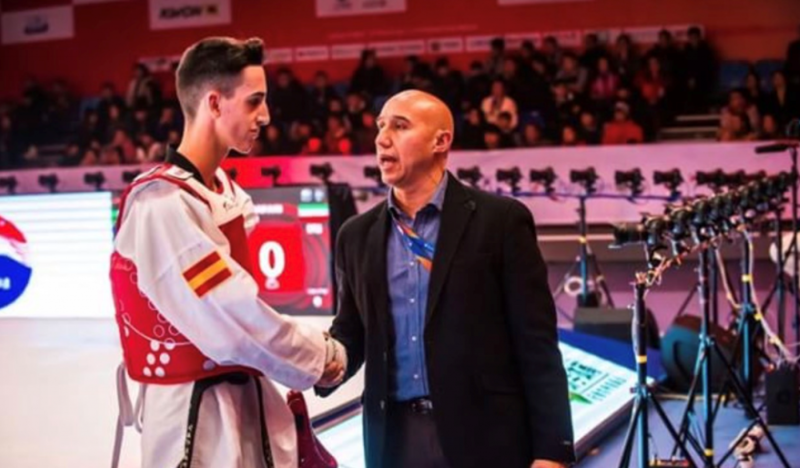 It is indeed – for Tortosa Cabrera “learned to walk” in his father’s Madrid dojang. Cabrera Sr was a competitor who fought at the 1988 Seoul Olympics, and the sport is a family affair: His three children are all international level players, as is his wife (albeit, as a hobbyist, not a competitor). 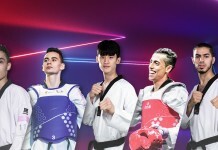 He started preparing Tortosa Cabrera for a full-time taekwondo career after his son took a serious interest in London 2012. Now, the future looks bright. Tortosa Cabrera is just 20, which means he is places him perfectly, age-wise, for both Tokyo 2020 and Paris 2024. And his father is far from his only influence. Currently, Tortosa Cabrera spends his days working out at the National Training Center with Spanish National Team Coach Miguel Angel Herranz. There, he has a core group of 13 persons assisting him with all aspects of tournament preparation. The training has paid off. 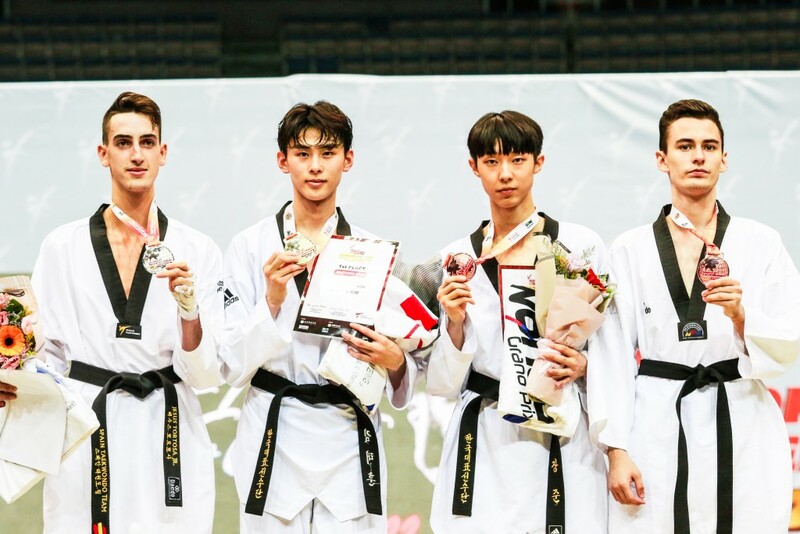 He has medaled in seven Grand Prix events, and proved his bona fides at the highest level on Taoyuan: His final battle was against one of the most dominant fighters in the game, Team Korea’s Tae-hun Kim. From the opening bell, both fighters got straight down to business, unleashing middle and high kicks. Oddly, despite their high work rate, the round was low scored: 3-0 to Kim. In the second, Kim landed a close-range head kick from an impossible angle. Tortosa Cabrera responded with one of his own – but was penalized for holding. Tortosa Cabrera raised his work rate and drove Kim across the mats. Then, there was a series of dueling kicks, with both players fighting ambidextrously. Round 2 ended 7-1 to Kim. In the third, the Spaniard finally connected to the body for 3-7, then Kim lost a point for 4-7. The action continued with Tortosa Cabrera trying spin kicks, but Kim pressed his own attacks, ending the match with superb evasive footwork. The end result was 10-8 and gold for the Korean kicking machine. However, it had been a remarkable performance from the young up-and-comer – just two years out of the juniors’ division – against one of the most dominant players in the game. His father is upbeat on his potential. “He has won seven Grand Prix medals and he is only 20!” Tortosa enthused. And as he loves the game, he has strong opinions about how to transition taekwondo from a participant sport to a spectator sport. The first thing has to be transparent regulation. Tortosa Cabrera is currently pursuing a sports science degree in Madrid; his financial needs as a competitor are met by government sponsorships. Naturally, his eyes are set on Tokyo 2020 – and despite his youth, he is already familiar with the agony and ecstasy of the world’s greatest sporting event. In the run-up, he is gunning for gold at the Worlds in Manchester next year and then hopes to “get the medal I didn’t get in Rio” in Tokyo. The path to 2020 is one he will not be walking alone. Firstly, he has the full support of the National Training Center. Secondly, his girlfriend of over a year is fellow competitor Irene Laguna of Team Spain. Thirdly, of course, he has the strongest family support any player could realistically ask for – the father-son/coach-player relationship.